My first taste of Golden Bordeaux was with Sauternes two years ago when I walked into a Bordeaux tasting in New York City. Everyone was gathered at the many Bordeaux tables and in the back of the room was an area with 5 different Sauternes for tasting and nobody in sight. All I knew was that Sauternes was sweet, there was no crowd at the table and I needed to go check it out before the crowds gathered there. I was very surprised to find a nice, yes sweet, balanced, but not syrupy wine. In fact the few I tasted were so balanced with the sweetness and acidity I later purchased 3 bottles. 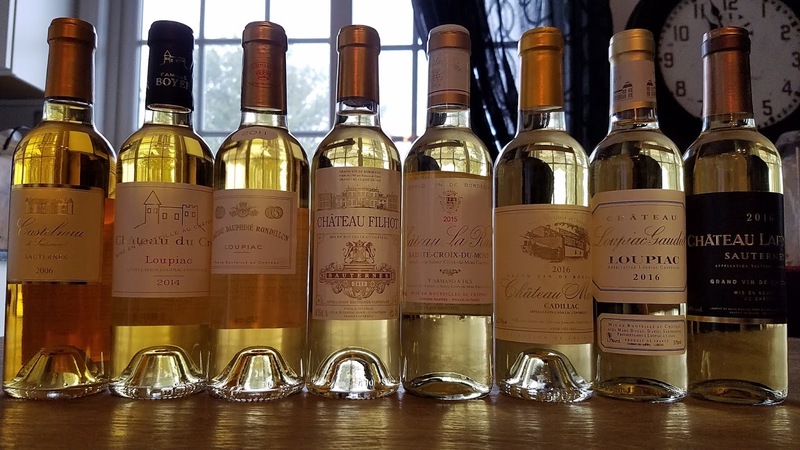 Last month I was thrilled that I got asked to participate in a Snooth tasting all about Golden Bordeaux which gave me a better understanding of the region and the sweet white wines that are produced there. Normally you would think to pair these wines with creme brulee or apple pie, but they wanted us to pair them with savory foods and sent us some ingredients to work with. Below you will find what I made along with the wines we tasted. A few things to note, if you thought Sauternes is out of your price range, it’s not. The proper glass to serve the wine in is a regular white wine glass. Golden Bordeaux wines are a sweet wine produced in the Bordeaux region of France. There are three main grapes used in the production of this wine: Sémillon which has a thin skin so it’s accessible to noble rot and is also an grape that ages well; Sauvignon Blanc give the wine the crisp acidity; and Muscadelle that adds body to the wine. The grapes are harvested late when when botrytis sets in also known as noble rot. This increases the concentration of sugars in the grape thus creating a sweet wine. Golden Bordeaux is produced in eight appellations located close to the Garonne and Ciron rivers which creates a nice mist in the mornings followed by sunny afternoons allowing the botrytis to form. 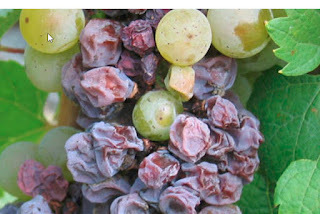 Along with concentrating the sweetness of the grapes, noble rot increases the complexity, flavor and aroma in the wine. Cadilac- Just north of Loupiac across the Garonne river from Cérons you will find the grapes growin in gravelly and chalky soil. The wines produced here are medium-sweet to sweet and the grapes can only be picked when their mus reaches 255 g/L which gives you high levels of residual sugars and at least an alcohol content of 12%. You will find notes of candied and roasted stone fruit and wine will taste elegant and smooth. Cérons - The name comes from the river Ciron whcih is a tributary of the Garonne. The grapes grown in this appellation is Sémillon in grainy sand on compact limestone. The sweet wines produced here ferment a year to a year and a half in barrels or vats. 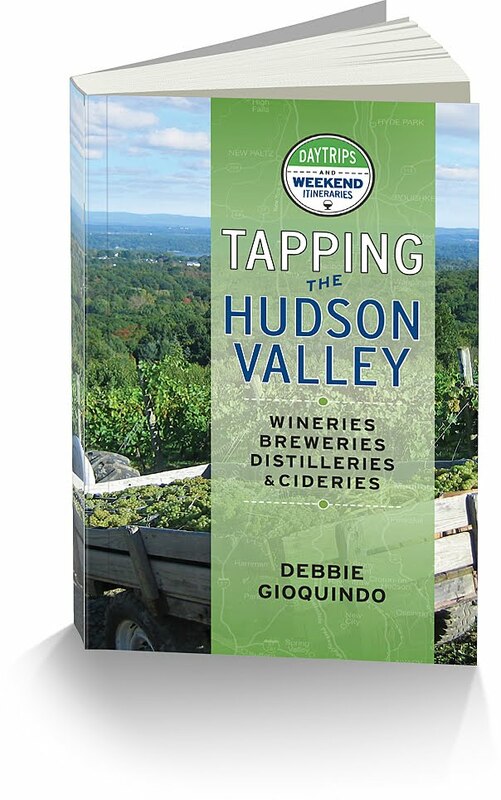 The wines are full bodied, with notes of citrus and tropical fruit. Côtes de Bordeaux - Located on the Right Bank it is a union of four regions: Côtes de Blaye, Côtes de Castillon, Côotes de Francs and Côtes de Cadillac. You’ll find an elegant wine with citrus notes. Graves Supérieures - Produced from a combination of the standard three Bordeaux white grapes grown in soil composition of gravel and sand with clay and limestone. The must weight requirement is 221 grams per liter. The wine is soft and elegant with notes of citrus and stone fruit. It has the aging potential of 2 to 5 years. Loupiac - Located across the Garonne river from Sauternes and Barsac, the laws in this appellation are strict and planting density must be at least 2024 plants per acre. The grapes can be picked when their mus weight is 245 grams per liter for Semillon and 229 grams per liter for Sauvignon Blanc and Muscadelle. Sauternes - The famous name that you think of when you think of Golden Bordeaux. All three grape varieties grow here in soil that is composed of gravel and pebbles on limestone. The wines have serious aging potential from 5 to 50 years. It’s full bodied with notes of tropical fruit, beeswax, stone fruit and as it ages you will find hints of almond and hazelnut. Sainte-Croix-du-Mont - Sémillon is the main grape grown here in clay and limestone soil. Aging potential for these wines range from 3 to 10 years. You will find notes of fig, honeysuckle, apricot and peach with a nice long finish. 2016 Chateau Manos SRP $12.99 - This wine is produced in the Cadillac appellation. The blend is 98% Sémillon, 1% Sauvignon Blanc and 1% Muscadelle. Fresh with notes of tropical fruit, orange marmalade,pineapple and a hint of honey. Can be aged for 10 years. 2016 Chateau Loupiac-Gaudiet $17 - This wine is from the Loupiac AOC and is a bled of 90% Sémillon and 10% Sauvignon Blanc. Very balanced with notes of tropical fruit, apricot, nectarine and passion fruit. This wine can age 2 to 30 years and get richer as it ages. 2015 Chateau La Rame SRP $22 - Produced from the Sainte Croix-du-Mont appellation this is 100% Sémillon. 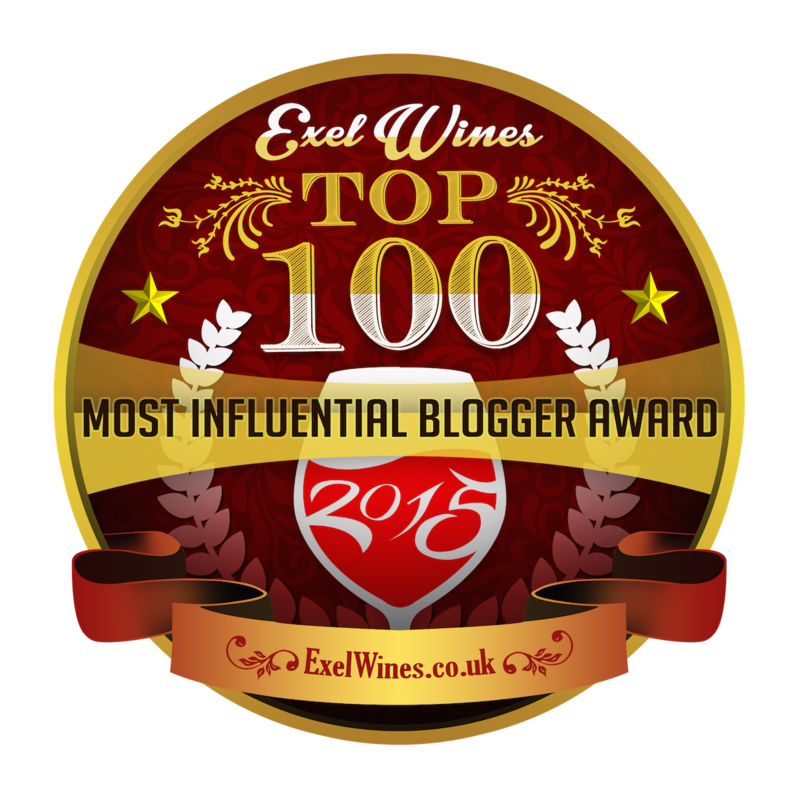 The wine is aged in stainless steel and 30% of it is in oak barrels. Notes of honey, peach and ripe apricot, hint of minerality and fresh. 2014 Chateau du Cros SRP $12 - Produced in the Loupiac AOC this is a blend of 90% Sémillon, 5% Sauvignon Blanc and 5% Muscadelle. Slightly darker, like golden butterscotch due to aging. There was some savory notes of dried mushrooms, nice acidity, floral notes with hint of almond and citrus fruits. 2011 Chateau Dauphine-Rondillon SRP $28 - Produced in the Loupiac AOC this is a blend of 70% Sémillon and 30% Sauvignon Blanc. Hints of mushrooms and citrus notes on the nose, nice balance with stone fruit, apricot and butterscotch on the finish. 2016 Chateau Lapinesse SRP $19.99 - Produced in Sauternes this is 100% Sémillon. This wine had a nice richness to it. Notes of lemon zest, peach, pear, it’s well balanced with some mineral notes. 2015 Chateau Filhot SRP $30 - Produced in Sauternes this is a blend of 60% Sémillon, 36% Sauvignon Blanc and 4% Muscadelle. Very nice fruity aromas with mandarin orange, citrus and a hint of spice the finish. 2006 Casatelnau de Suduiraut $90 - Produced in Sauternes this wine is 9% Sémillon. This wine is deep golden in color from aging. Notes of peach and apricots and hints of vanilla and spice. For the pairings we were sent a package containing some interesting ingredients. I felt like I was on a cooking show and had to produce a meal in 30 minutes with these ingredients. I put some thought into it and what I could do with these ingredients and make a nice savory meal to go with the tasting. 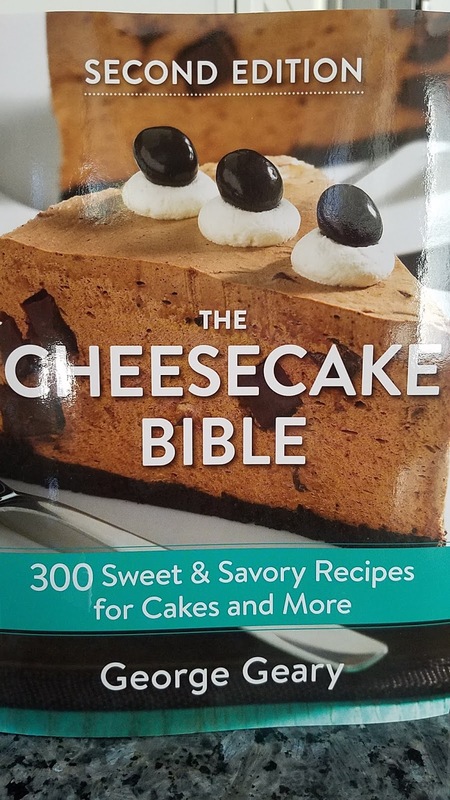 I had just received the Second Edition of The Cheese Cake Bible by George Geary and there was a savory cheesecake section in the back of the book. 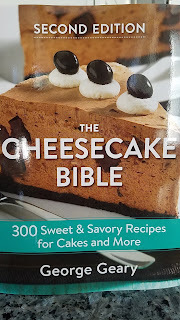 I decided to try the Herbed Gorgonzola Cheesecake using the Beet Crackers as the crust. Worked great! Next was the Calabrese Spicy Salami and I rolled that with goat cheese and asparagus and baked it. I made a chicken salad to go with the Jalapeno Chicken Chips and I crushed up the Sweet Potato Crackers and cashews and used it as a crust for the pan seared salmon. The only item I had a hard time with was the beef jerky. I’m not a jerky kind of girl but found a recipe for beef jerky fried rice. Here are highlights from the pairings. 2006 Casatelnau de Suduiraut paired well with the salami but not the salmon. 2015 Chateau Filhot paired well with both the Herbed Gorgonzola Cheesecake and chicken salad with the Chicken Jalapeno Chips. 2016 Chateau Manos did not pair well with the salami but went well with the chicken salad. 2016 Chateau Loupiac-Gaudiet there was an OMG factor with this wine and the cheesecake. 2016 Chateau Lapinesse this complimented the spinach and salmon dish. 2015 Chateau La Rame paired well with the chickenand brought out hte spice in the chicken jalapeno chip and had a long finish. Don’t think of Sweet Bordeaux Wines as something to pair with dessert, think of it as a pairing for entire dinner. This tasting also opened my eyes to the sweet wines from this region and how enjoyable they are.